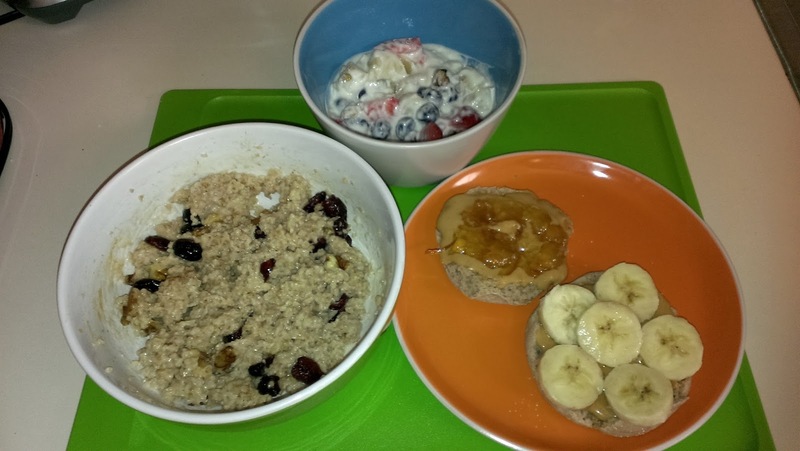 so a good breakfast is key in providing the needed macronutrients for the long haul. There is no one perfect pre-run food for runners, because runners are all so different. Between allergies, GI issues, and various likes and dislikes, it's almost impossible to say eat exactly this or that. Instead a runner needs to make sure he/she is getting the proper caloric intake as well as the proper balance of carbohydrates and protein. 200-400 calories is a good number of calories to take in about 1 to 1.5 hours before your long run.You want more easily digestible carbs than protein. a 3;1 OR 4:1 carbs to protein ratio is good. The carbs will provide the glycogen which is the fuel for your muscles. The protein will work to help begin the rebuilding process. 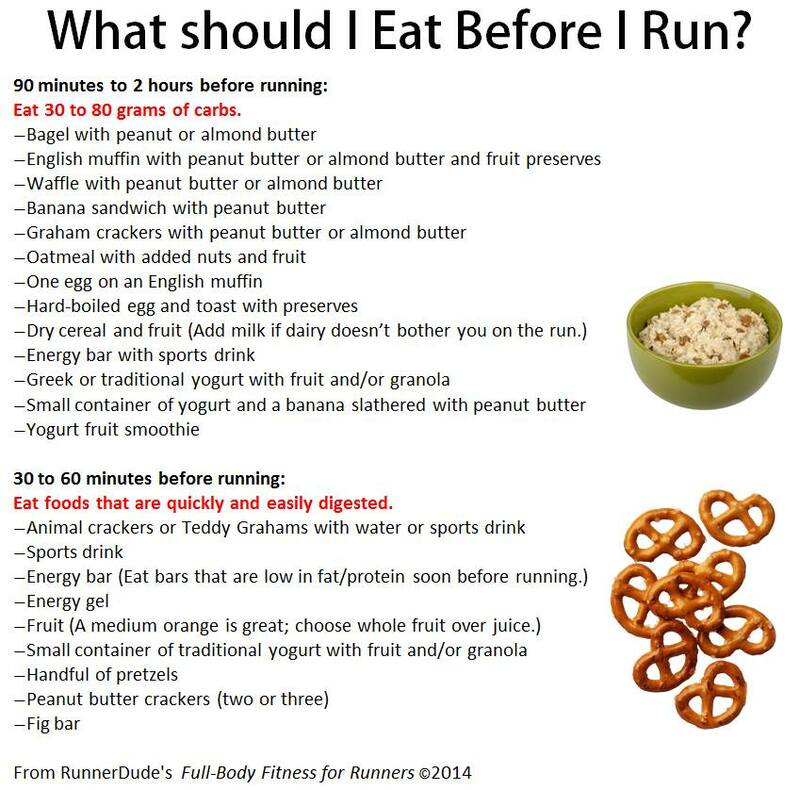 This same carb/protein ratio is also great for your post run-recovery snack. I've prepared the following video to show you three simple-to-make breakfast meals that I eat before my long runs. 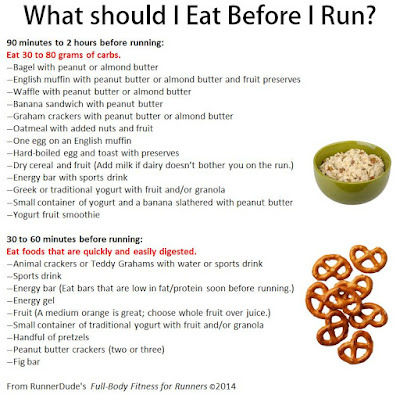 Here are a few more pre-run fueling ideas from my book Full-Body Fitness for Runners. Potatoes: A Great Food for Runners!